The outbreak of equine influenza has put all domestic racing on hold while the British Horseracing Authority carries out urgent tests. Here, Press Association Sport provides answers to some frequently asked questions about the sport’s sudden shutdown. Equine flu is an airborne virus and highly contagious. The BHA is therefore hoping the prompt action it has taken will prevent a costly and dispiriting long-term disruption to its sport. The nature of the virus is such that any potential contact, on the racecourse, in stables or even in reasonable vicinity with an affected animal, presents an evident risk of spreading the infection. It has also caused significant consternation that the three horses so far to have tested positive were – as is mandatory throughout the BHA’s jurisdiction – vaccinated. No. Equine flu is one of many viruses which can affect horses and as such is an occupational hazard for all trainers. The BHA has been at pains to praise trainer Donald McCain for his alert, early response and warning when he became concerned about some of his string. The BHA’s action plan is already well under way. Champion trainer Nicky Henderson confirmed before breakfast that six of the BHA’s vets were on site at his famous Seven Barrows yard in Lambourn, taking nasal swabs of his 100-plus horses. The results will be transported immediately to the Animal Health Trust in Newmarket, where an expert workforce – in what is described by BHA chief executive Nick Rust as their “war-room” – will test samples arriving from yards all over the country to check none is positive. The outcome of those tests, running into thousands, will determine the BHA’s next move. 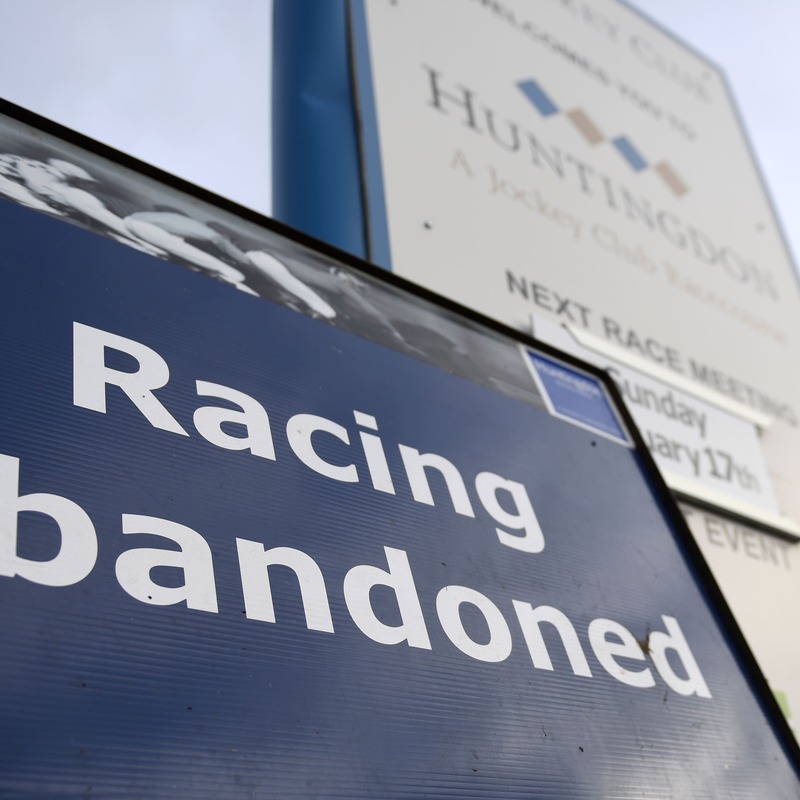 It has already suspended all British racing until next Wednesday, February 13, at the earliest. A further update will be made today. Are any racehorses’ lives at risk? That is highly unlikely. Animals most vulnerable to equine flu are – as with the human strain – the already sick, very young or very old. Few in professional racing yards fall into any of those categories. Typical symptoms include a runny nose and lethargy – as with many other transitory equine illnesses. Trainers will often refer to horses declared non-runners as being off-colour, off their food, and therefore temporarily unable to take part or exercise on the gallops. Are bookmakers being hit hard? Not too badly yet. Modern-day bookmakers are much better equipped to deal with shutdowns such as this, due to the increasing diversity of their products. However, the longer the absence of British racing goes on, the grimmer the situation will undoubtedly get. This weekend was due to be a big one, particularly at Newbury, and estimates are that £25million will be lost in betting revenue. Why is everyone so worried then? If one or two horses in a yard, or even several, are off colour then typically a trainer will isolate them and carry on business as usual. If a virulent strain of equine flu were to take hold country-wide, however, then there may be no or very few horses anywhere healthy enough to race. That potential consequence explains the BHA’s prompt decision to take what it hopes will be a universal pre-emptive step. The timing of the outbreak is also a major factor. There is never a good moment in a packed calendar to call a halt to proceedings – but with the annual highlight of the Cheltenham Festival less than five weeks away, racing is holding its breath. Most remember the misery of 2001, when the foot-and-mouth crisis caused the abandonment of Cheltenham – and to everyone in the industry, a repeat remains unthinkable.